I shoot .300bo, 7.62x39, & 6.5grendel (along with 5.56 & 9mm of course) thru my ARs. 6.5G gets my vote for anything beyond 100 yards. And I really didn't need a caliber that reaches out that far since trees & mountains don't allow for shots much beyond that. But with cheap steel Wolf 6.5grendel available it's a no brainer for me. 6.8spc is a pretty effective caliber as well, easy to find off the shelf in most gun stores & big box stores unlike 6.5G. 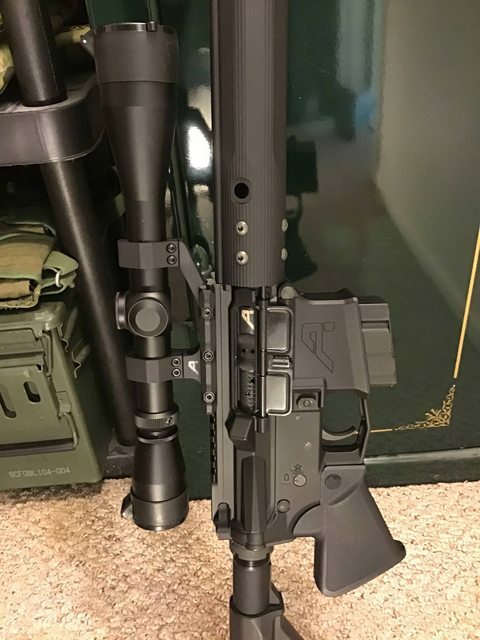 But my budget likes cheap steel cased Wolf thru my $280 PSA 12" upper a lot better than what I could be shooting 6.8spc for. I like .308 AR10s for range fun but for toting thru the woods I'd rather just use a good bolt gun in that caliber size, and more calibers to choose from like 30-06. But I gotta admit, I haven't tried any 6.5 creedmore either. Couple of my buddies in TX run 6.8's and reload they love em. Love my 308AR, but other than sitting in a tree that's more than I want to lug around the woods I agree. That's how I ended up with the AK round it has more than enough stink to pile up everything we hunt and for the ranges we hunt and is crazy light and inexpensive. Wilson Combat's 300 Ham'r cartridge and rifle combo is very interesting and might be another option for some. That is interesting. Their 7.62x40WT cartridge is good too. 2,500fps is easy to hit with a 125gr bullet. A buddy just got back from a guided hunt in Alaska and took a Moose and a Grizzly with a 300WSM bolt. However his guide had a large frame Glock in a shoulder holster with 2 extra mags offside and a 16"ish 400something AR with extra chest rig mags which I assume makes a lot of sense for close in bear protection. My buddy isn't a gun guy hence the minimal info I gleaned from pics and his memory. I took a nice doe last night with a 9.5 inch suppressed 300 BO. Loaded Nosler 125 ballistic tip at around 2150 fps, 80 yard shot. Whacked her solid, ran about 30 yds and that was it. Did the trick. OP here with an update, finished with time to spare before deer season. 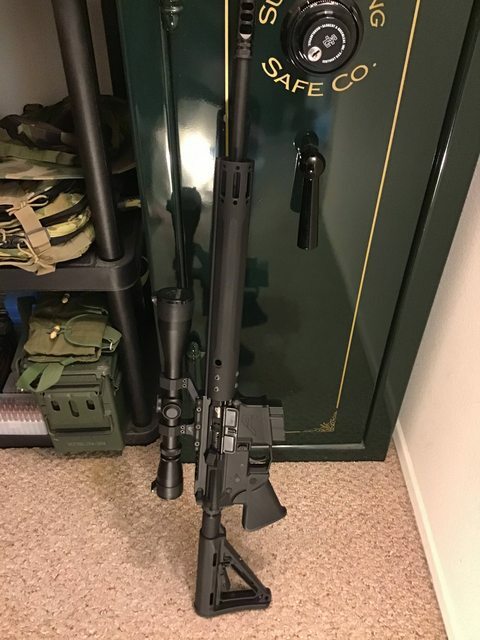 I have completed my 6.5Grendel, well for now. At some point I will upgrade the scope, scope base, trigger and stock. Last edited by 5.56Geo; 10-21-18 at 18:53. Looks good. Did you shoot any groups yet?